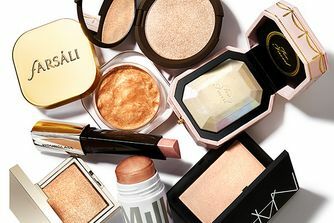 Formerly only available in the USA, Milk Makeup’s cult favourite products have travelled across waters to be exclusively snapped up at Cult Beauty. Innovative as ever, the brand’s highlighter is no mere palette affair, instead coming in a multi-use stick form. The luminous cream will lighten up dull skin in one simple swipe across your cheekbones, nose, cupids bow, collar bones, arm, leg… You get the idea. Jam-packed with nourishing coconut oil, mango butter and avocado oil, the ingenious formula hydrates skin while illuminating it. A highlighter that goes hard, not home, Milk Makeup’s radiance-boosting Highlighter in ‘Lit’ grants an irresistibly glowy finish. Suitable for all skin tones, the universally face-framing product can be used from head to toe – think cheekbones, forehead, brows, collar bones, lips… You can even highlight your feet if you’re so inclined. The oversized stick is infused with hydrating coconut oil, mango butter and avocado oil, serving to leave skin hydrated and fresh. The natural oils allow for a natural-looking finish – no caking or cracking to be seen. 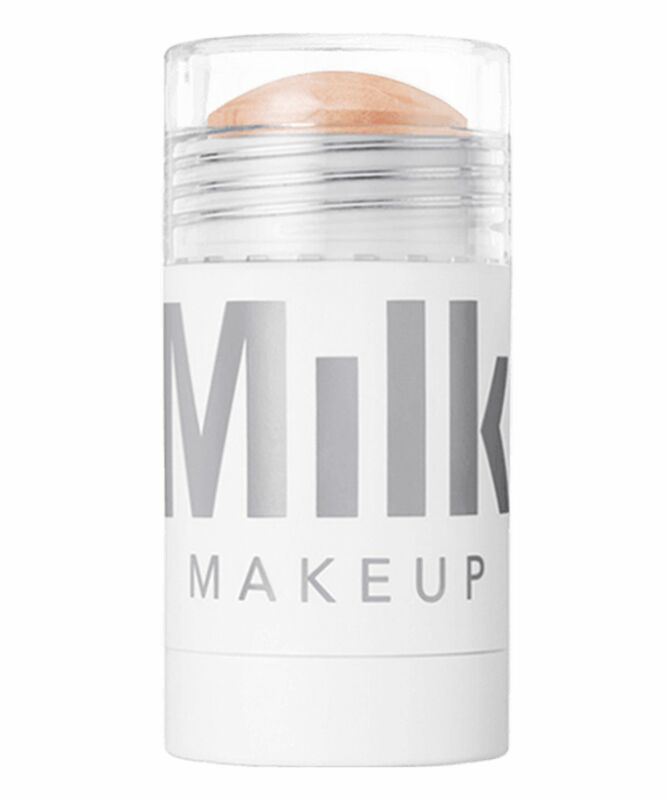 What’s more, just as with all Milk Makeup products, it’s vegan, cruelty-free and paraben-free. Apply the product to cheekbones, eyes, lips, body or wherever you want to highlight. You can apply the product directly to skin, or warm it up on the back of your hand and apply with the tips of your fingers. 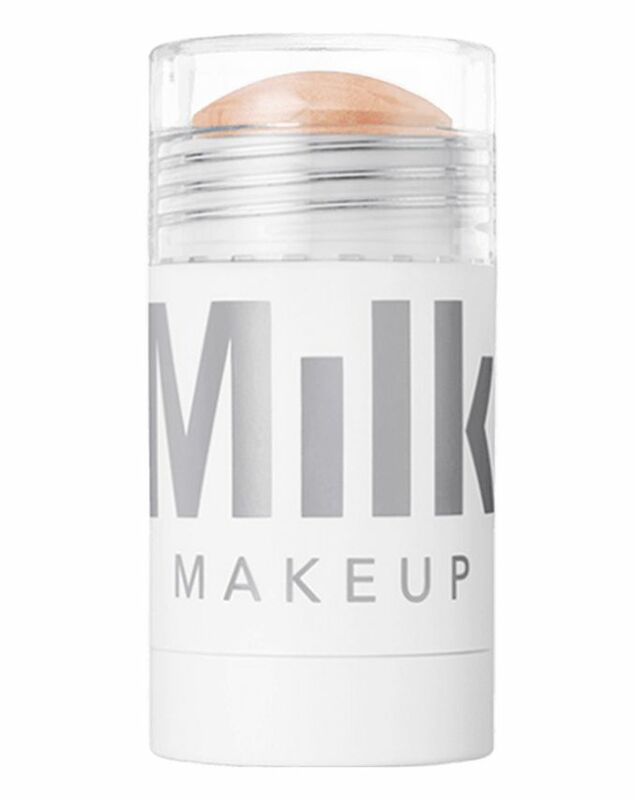 I love Milk Makeup but this highlighter is not great for me, it's very hard and it is not dewy at all for me and it does not shine. I prefer Glossier's Haloscope if I'm honest. I like it because it's not the super intense fake kind of highlight. Instead its a glow from within type of product similar to the rms highlighter but much less sticky! The colour is also perfect for my olive skin tone :) highly recommended. This product is so hyped up and i bought it cause who would not want a pretty cream highlighter in their kit but i used it a couple of times and i must say i don't like it at all. It's not shimmery enough, and absolutely not blinding, would not recommend unless you want a very subtle sheen. Also it's a bit too sticky. This highlighter gives a subtle and natural glow. I love it. The only downfall is I find that it doesn’t last very long so have to reapply. If you love blinding highlights with glitter, this is not be the one for you. However, if you like more of a natural glow, this is the one. I really love how my skin looks and have applied it over and under foundation. It has a balm type texture but I don't find it sticky. I also love this on days when I don't feel like wearing foundation but want my skin to look good. It's makes skin look beautiful, especially in the sunlight.